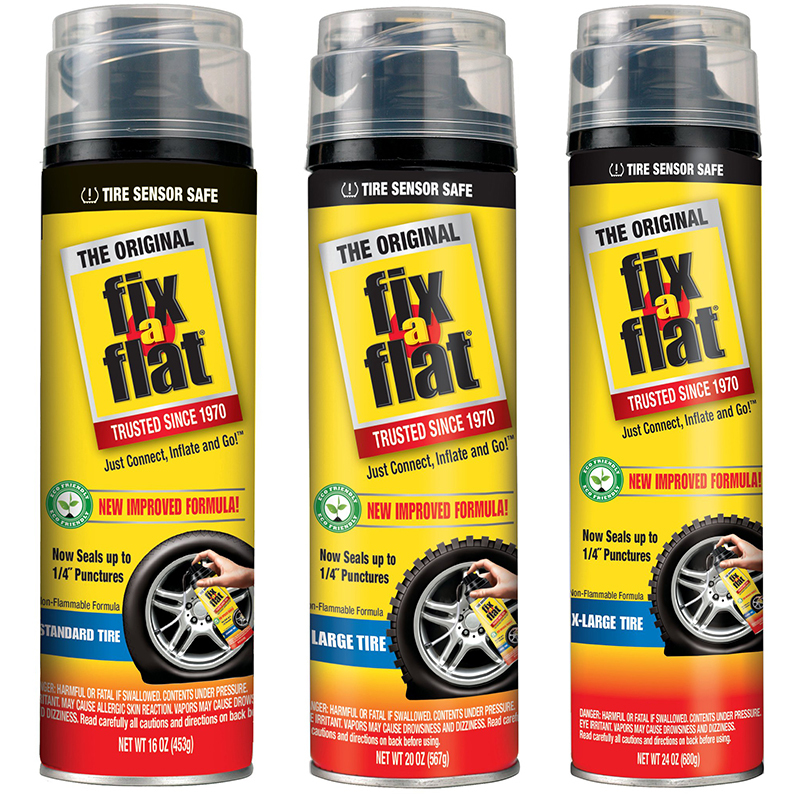 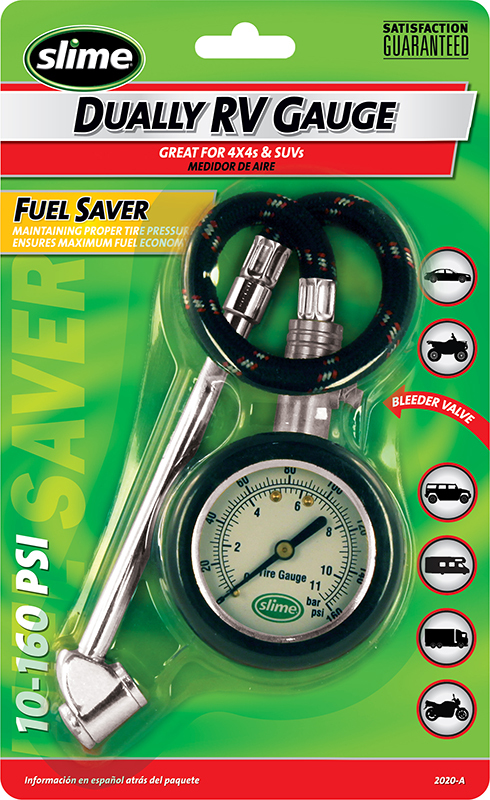 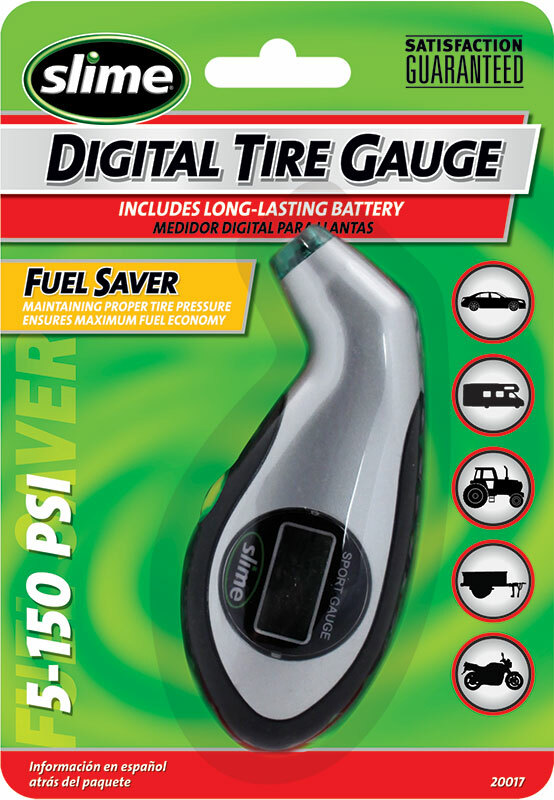 Fix-a-Flat Tire Inflator Aerosol is an eco-friendly, simple, compact, easy to store, powerful tire repair aerosol that quickly and easily inflates car tire and gets you back on the road in 10 minutes. 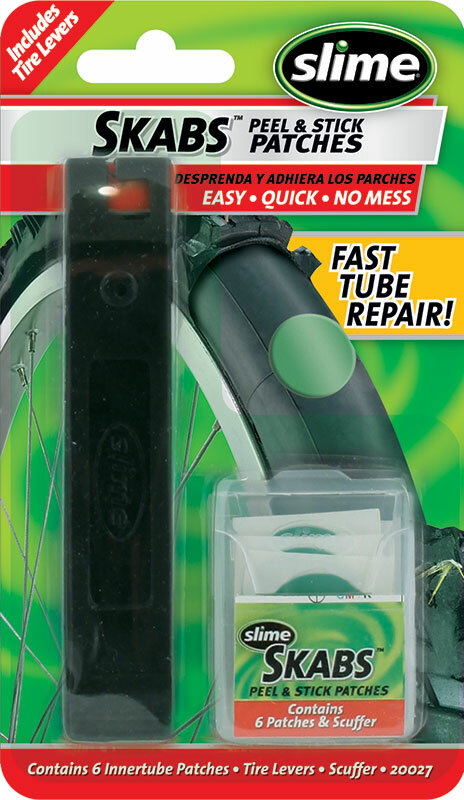 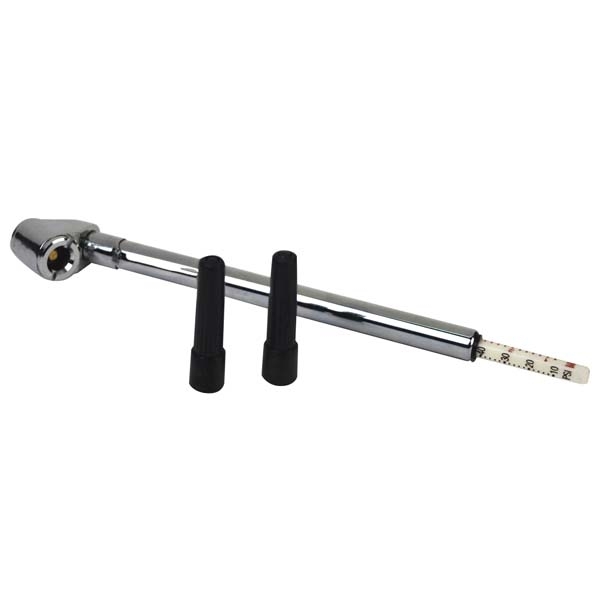 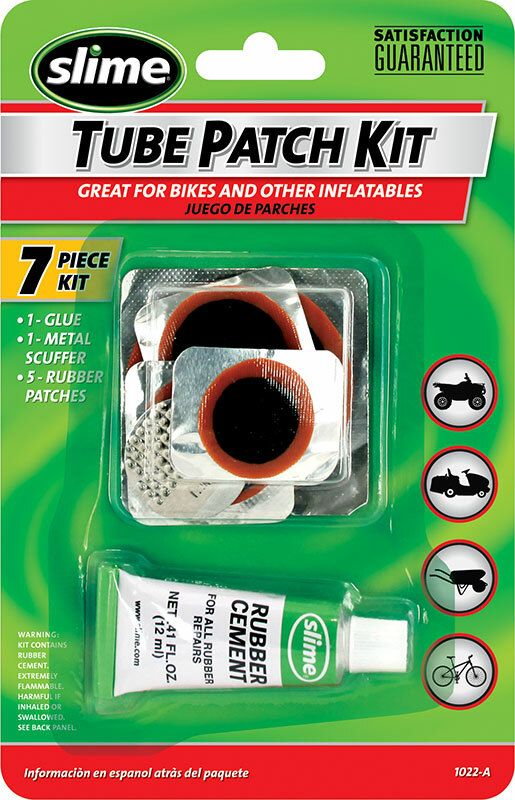 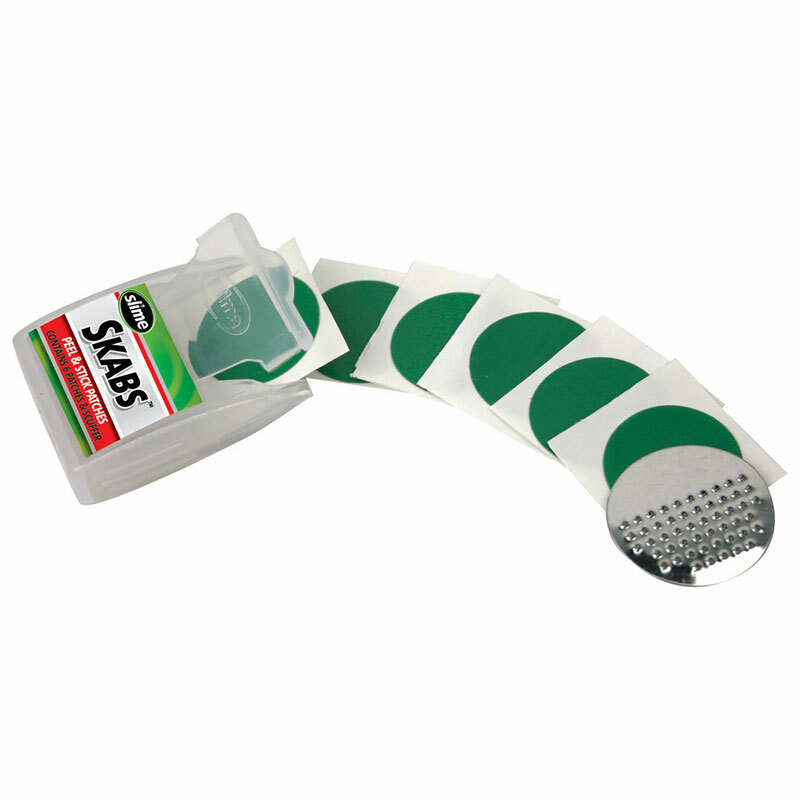 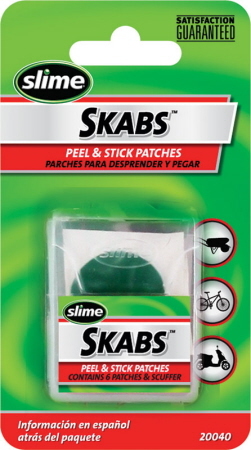 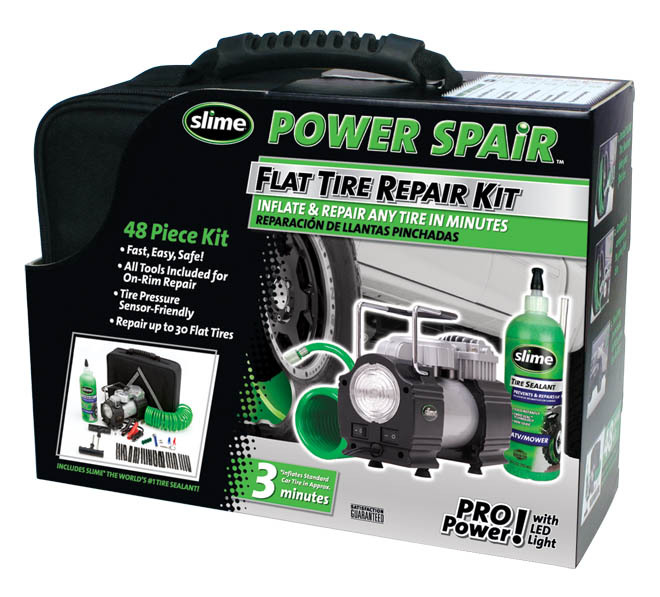 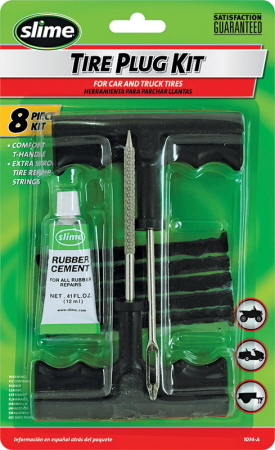 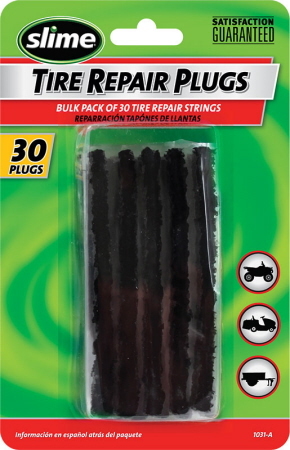 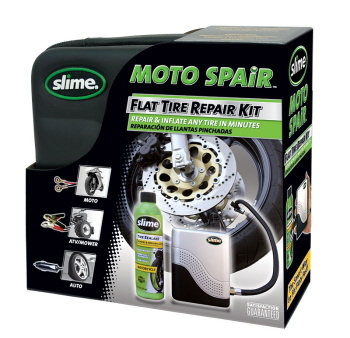 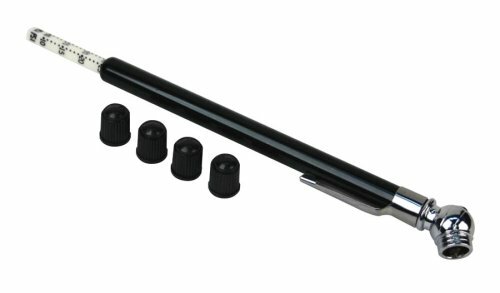 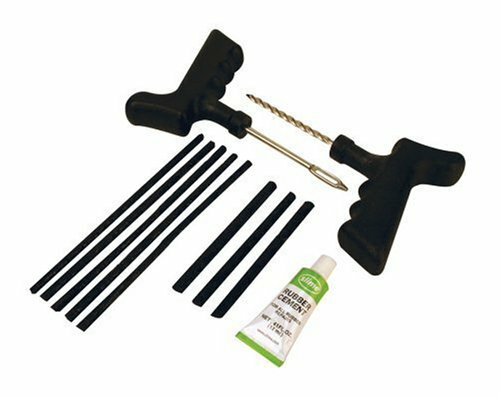 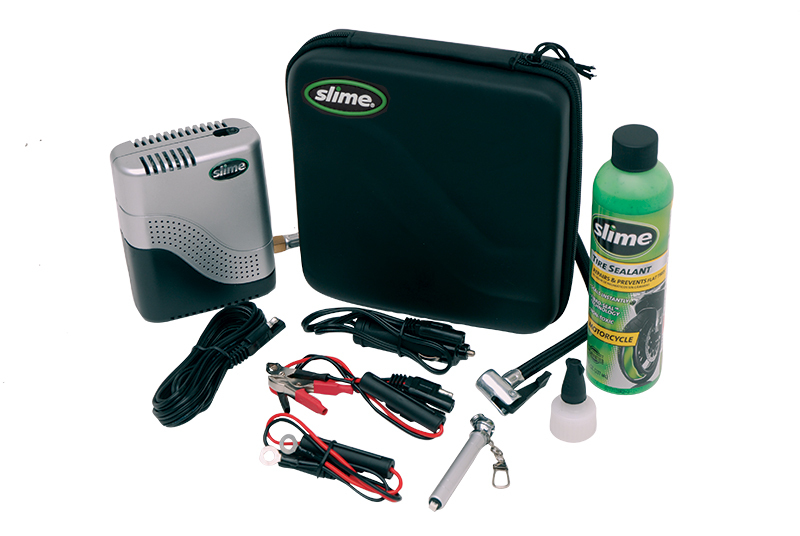 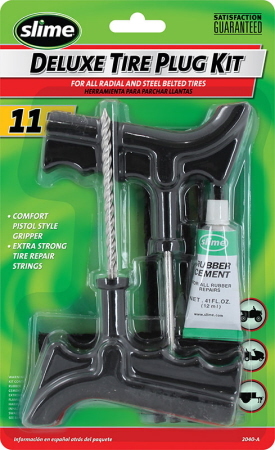 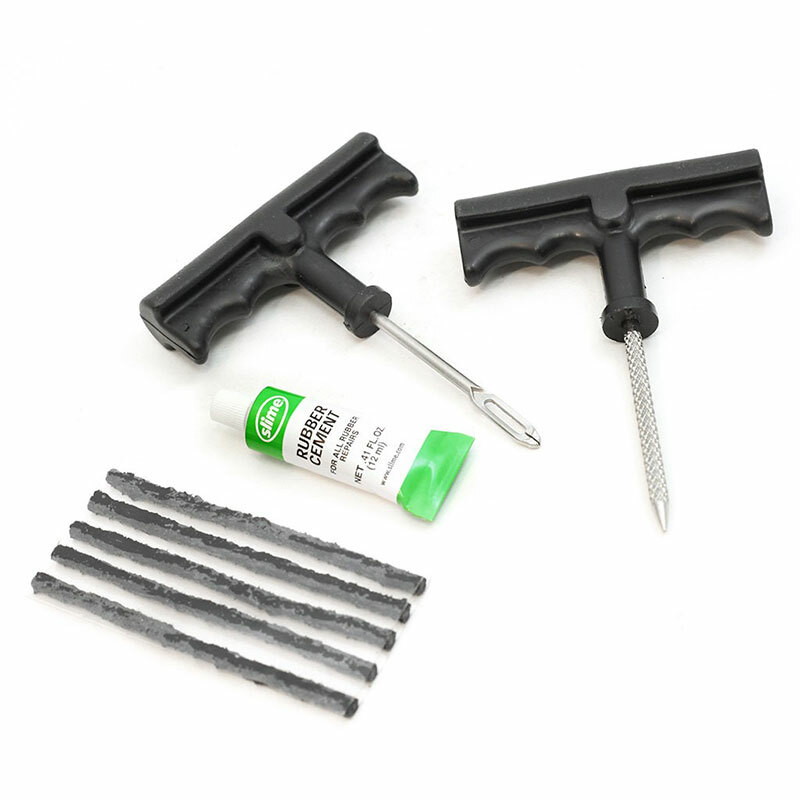 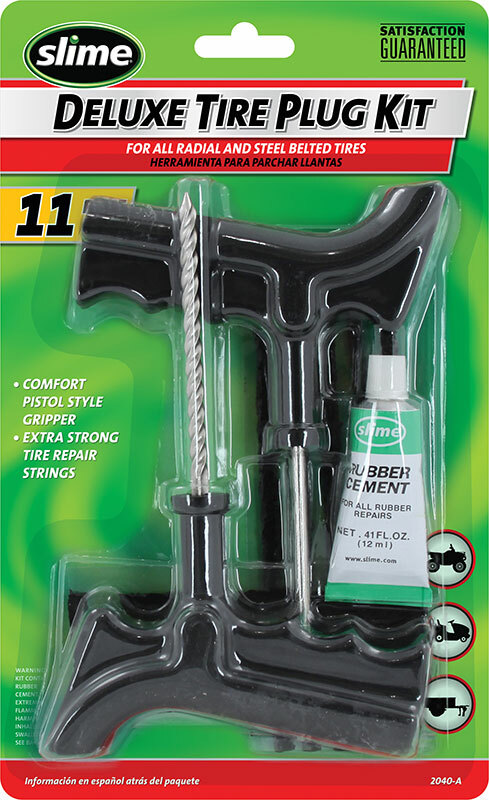 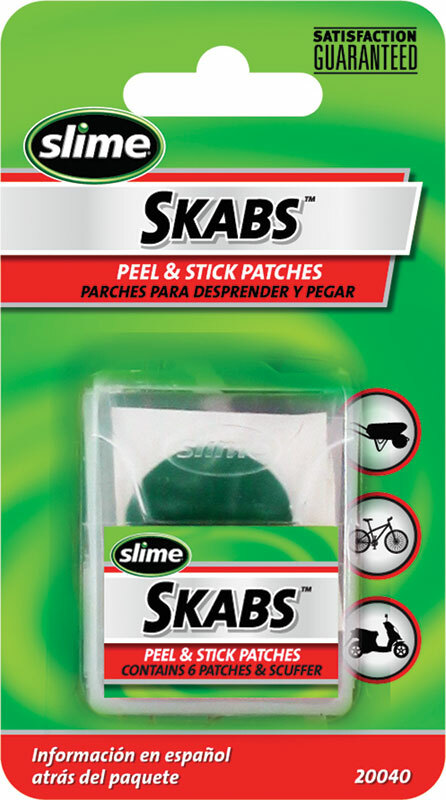 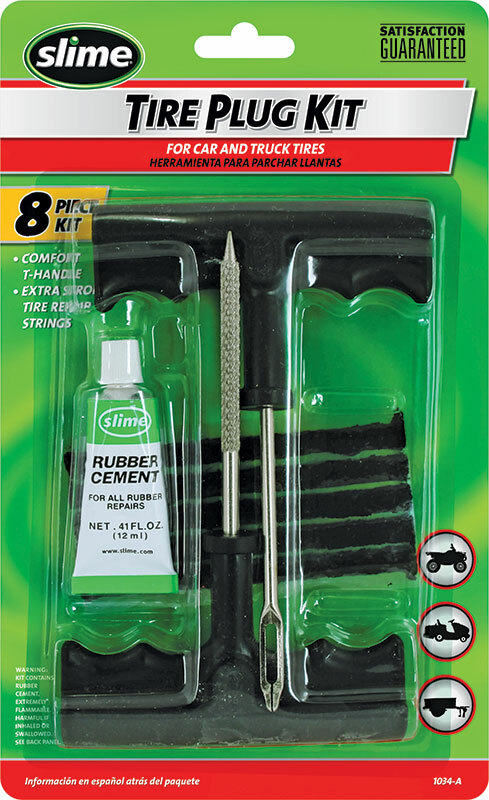 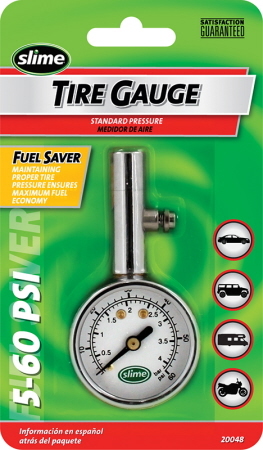 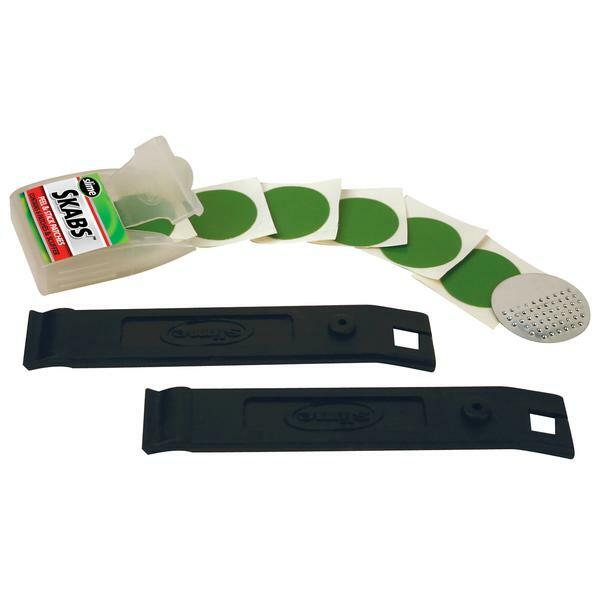 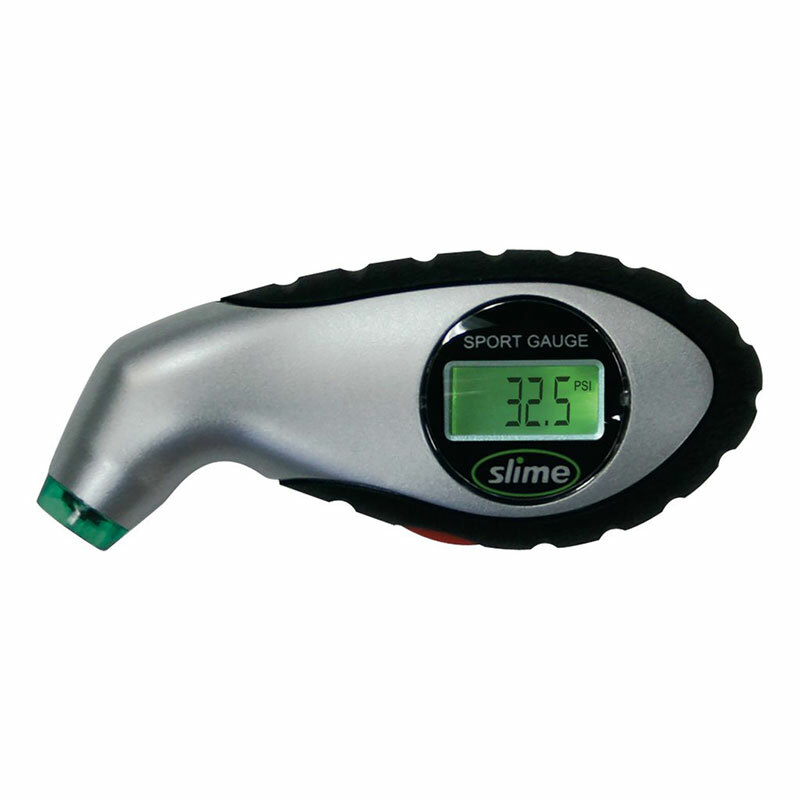 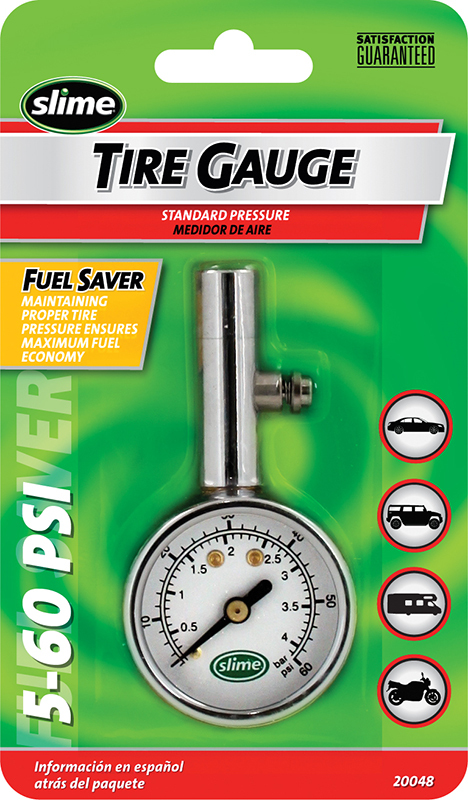 With this safe and easy to use flat tire repair, it seal up to ¼” punctures in size, without using a jack or tools. Why buy a new tire if it can still be repaired? 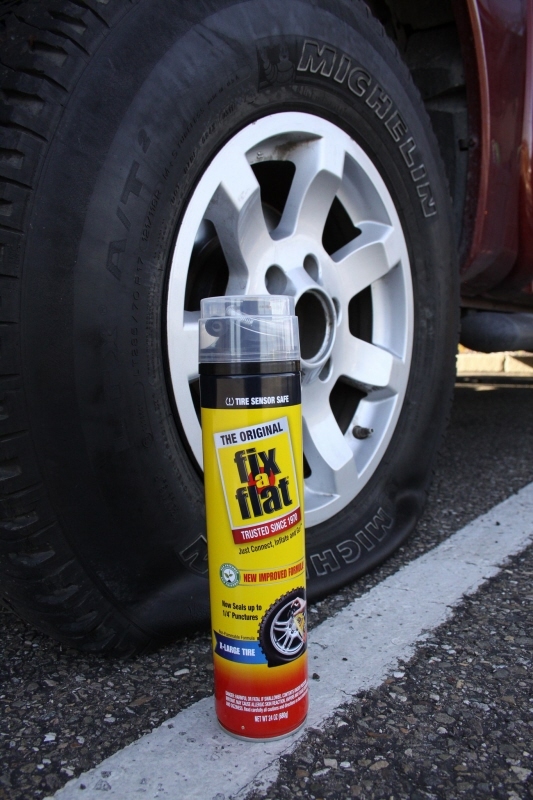 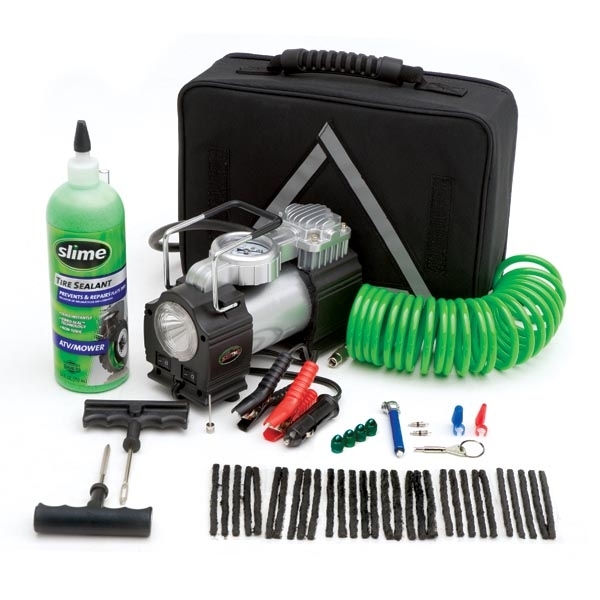 For flat tire emergency, Fix-a-flat Tire Inflator is the solution! 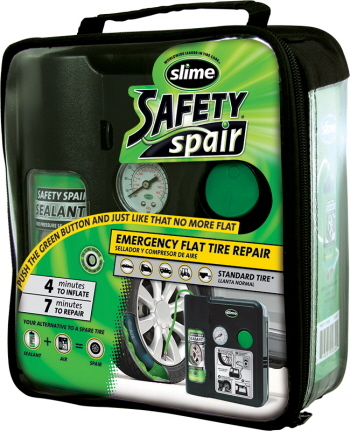 Always have at least one and keep it in your glove compartment to make sure you are prepared for whatever comes your way! 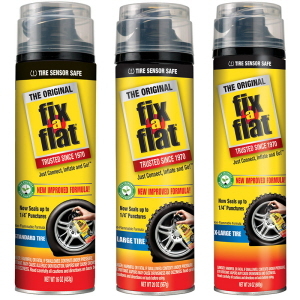 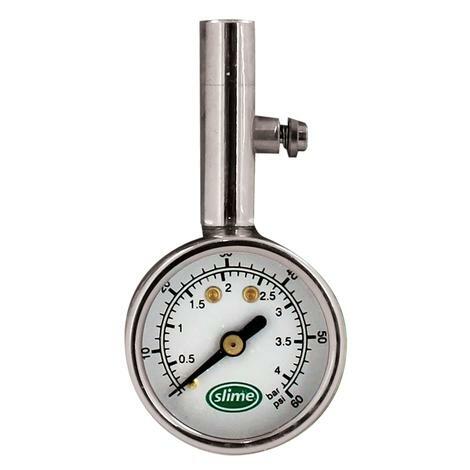 Available in 3 sizes: 453g (16 Oz) for standard, 567g (20 Oz) large, and 680g (24 Oz) extra large tires. 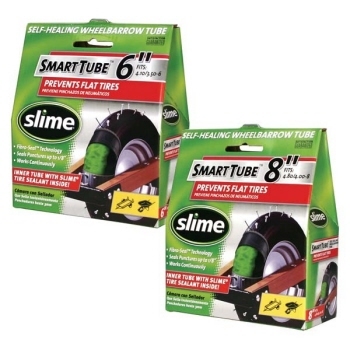 Slime self-healing Smart Wheelbarrow Tubes are pre-filled with Slime to prevent flats for up to two years. 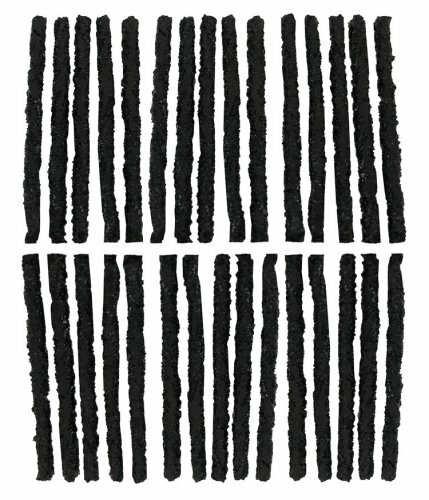 As the Slime treated tyre rotates, centrifugal force pushes the sealant to the tread area creating a layer of protection, repairing punctures as they occur and treating existing punctures.